Yippee, I finished the base! Oh, do my back muscles ache. Kim had to apply deep heat all over it so I can move. Nice way to finish off the weekend. 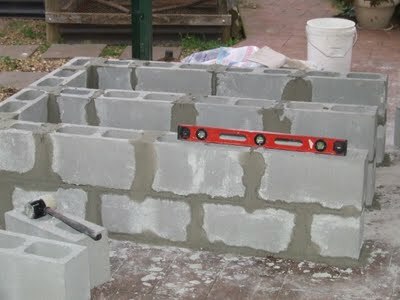 At 9am, I started on the 3rd row of bricks. It was a struggle to get back into it, but once started the muscles started to limber up. 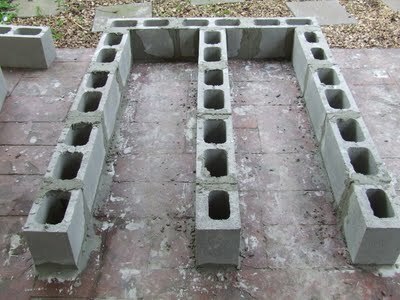 The 4th row was started at about 10.10 am, but I came unstuck because I ran out of half bricks. 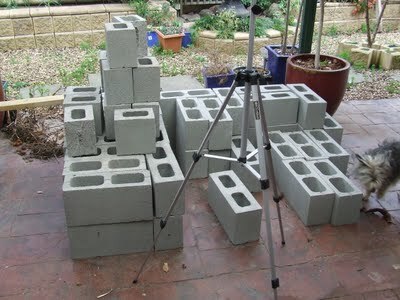 After an hour of searching around the town for two measly brick and finding none, I had to improvise. I had kept some house bricks, so bought a bolster chisel and cut them to size. If you click on the above image you will see my improv at the first and middle row towards the ends. 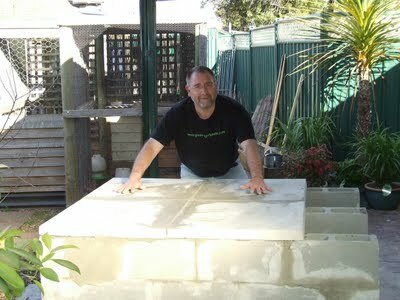 Once the last brick was laid, we waited for about 90 minutes for the mortar to dry before putting on the 60 x 60 cm slabs on top. All level every way which! 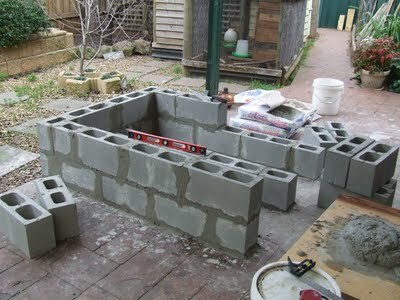 Next weekend I will lay out the brick base and front arch for the oven. The gap that you probably noticed is the front, and I am going to put an ash slot and length of red gum (hard wood) across to make it look pretty. Now that the top was in place, it was time to kick back and relax! It looks a bit like a sacrificial alter, but with no virgins in sight, I had to jump up there myself. 😉 Strike the pose. I am so glad that I got it finished. A little while ago I hinted that I was embarking on a project that would go a long way to achieving one of my goals for this year. 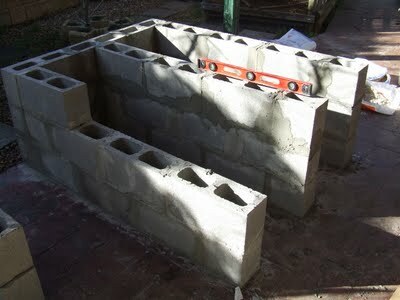 As the title suggests, today I started to make the Cob Oven. 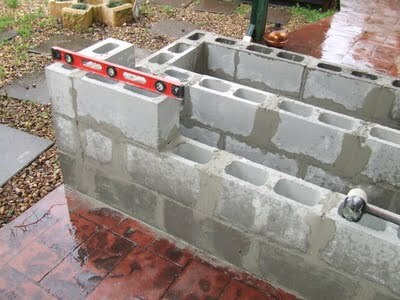 I have located it under my back veranda, on top of the existing concrete slab. My good friend David gave me a hand mixing the mortar, and Kim offered her womanly advice at the start, but left to paint the the gazebo and grape arbor in the pool area. Well, a bricky I will never make, however I am proud of my work so far. Not bad for a novice and first timer. As I am so knackered, there will be just pictures at this stage, and you will have to wait for the video to get the good oil on my thought process another day. In the beginning there was a concrete slab where the wicking bed once had laid. Holly helping of me course, and Teddy was helping Kim paint! 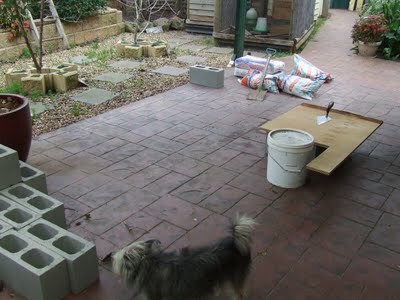 These are the 60cm x 60cm pavers that will make the top of the base that I will lay the oven brick on. 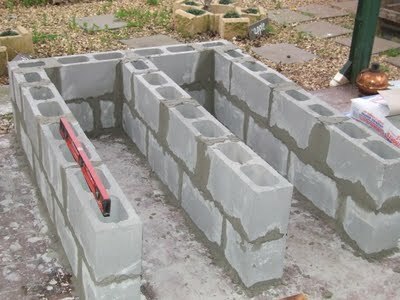 This is the basic structure before adding the mortar. 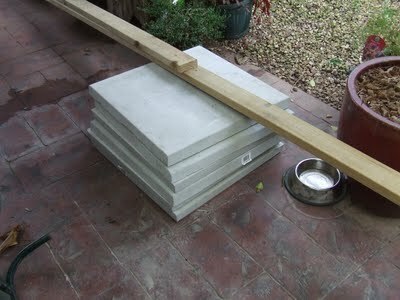 It is 120cm wide and 135cm long, with a side preparation table top. 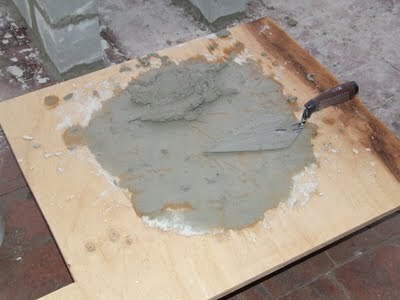 The mortar is made up of two parts of premixed cement and six parts sand and all mixed up in the wheel barrow with enough water to make it a thick consistency. This the first row bedded in. Square and level. Note my sloppy joints. The base will be rendered when complete, so it doesn’t really matter much. It is level and spaced correctly apart. 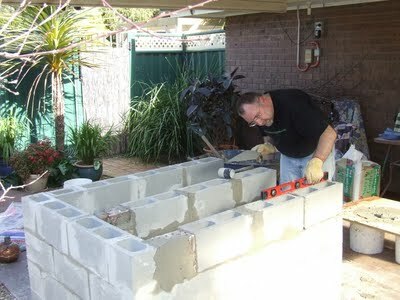 The second row of bricks go on. Not yet finished the entire 2nd course. 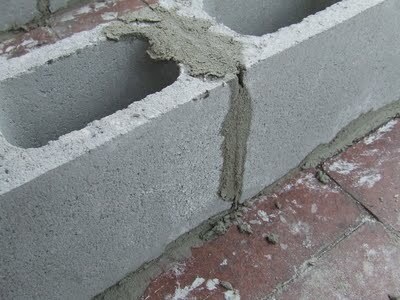 I had to mix up some more mortar. 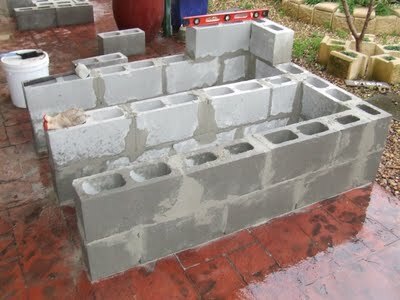 The second course of bricks completed and level. Another angle. I will be bricking these tunnels up at about half way, mainly because Kim is scared of spiders that may lurk in the deep dark depths! There still should be enough storage for wood. 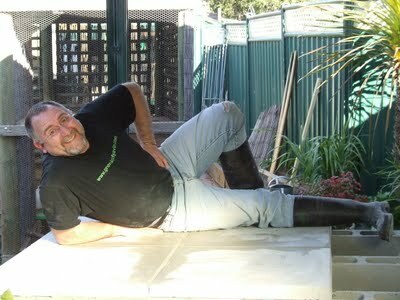 My trusty trowel. I have the hang of it now. I ran out of mortar at about 5pm so called it quits for the day and cleaned up the surrounding area so that there would not be cement stains everywhere. All my muscles hurt, my brain is numb but I feel a great sense of accomplishment. I start again tomorrow morning. 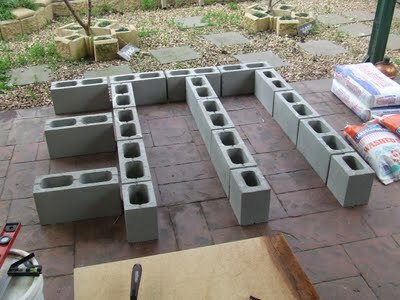 It will be 4 rows high before I put on the large pavers. 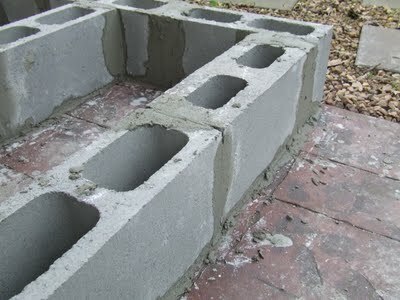 So far I have used two 20kg of sand, and about 10kg of premix cement. What do you think? 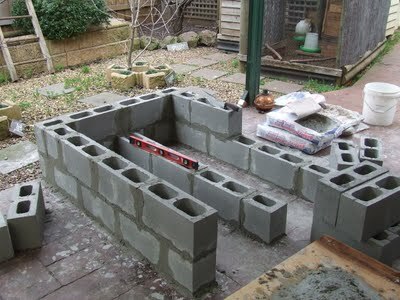 Not very climate friendly using all of this cement, however the oven itself will be made of natural and recycled materials from around the yard, so it is not all that bad. During the research for solutions to the Peak, I was over at the Transition Culture website yesterday and spyed this gem of a video which shows a guy called Tom Harper teaching some young students in the United Kingdom. This is a great piece of education about what oil does for us in our culture and society. The Oil Game from Tom Harper on Vimeo. If my research is correct, and the last two posts about Peak Oil are even half way on the money, then we need an education program like the oil game for our schools and communities. Only by truly understanding the many uses of oil and its impact as it becomes a scarce resource, will we able to prepare for the coming energy decent with our eyes wide open and without the bickering that affects our action on climate change. Well done to Tom and the Transition Town movement for leading the way. P.S. The solutions post is still being research, so sorry for the delay.